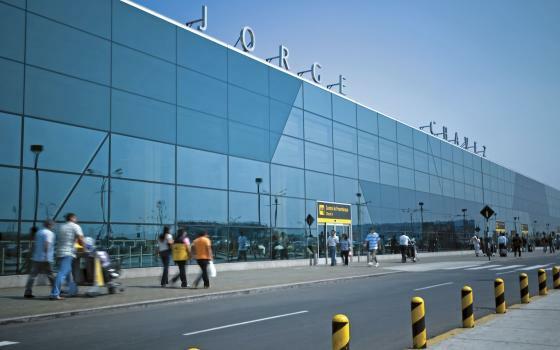 We provide transfers from and to Lima airport at any time during the day or night, we work 24/7, so late nights, late flights or very early departures are welcomed. Transfers to / from: JW Marriott Hotel, Radisson Decapolis Hotel, Belmond Miraflores Park, Sheraton hotels, Hilton Hotel, The Westin Lima, Country Club Lima, Delfines Hotel, Sol Melia Lima, Sonesta Olivar, Hilton Double tree, Courtyard by Marriott, Casa Andina, Atton hotel. * Rates valid to/from Lima Downtown, Miraflores and San Isidro, please request rates to other destinations. - Once you leave customs with your baggage, one of our drivers will be waiting for you in the waiting area. You will see many people lined up with different signs; our driver will be holding a board with your name hand written on it, please approach the driver and identify yourself as one of our clients. - Our professional drivers can track your flight and adjust for any delays outside of your control.